Back before TGS kicked off, Siliconera sat down with Tales of series creator Hideo Baba to get some insight on the creative process of one of the world’s most popular JRPG franchises. During this conversation, Baba brought up the importance of memorable characters in the Tales games. But what of future Tales games? Tales of Xillia 2, specifically? The protagonist, Ludger, is meant to also be different than the traditional young, headstrong main characters of other games. He was created in mind with having the player “feel like a hero” by giving more freedom to the player by way of moral and plot choices, something very different from Tales games of the past, especially Judge from the first Xillia. Despite being a direct sequel, Tales of Xillia 2 is shaping up to be a completely new and fresh experience to players of previous Tales games and other JRPGs alike. 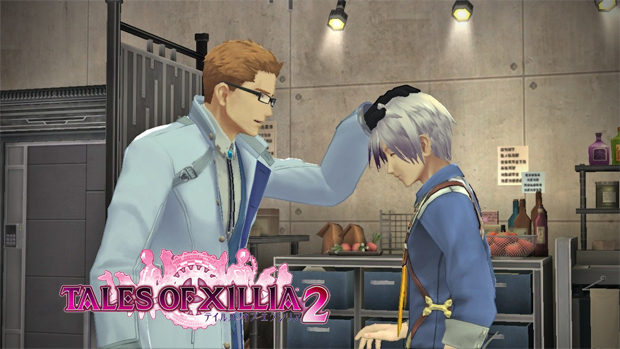 Tales of Xillia 2 is due out in Japan on November 1st, 2012 on Playstation 3. North American gamers can expect the first game, Tales of Xillia, to be released in 2013.